Music and singing lie at the heart of our programmes. 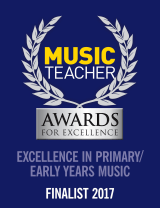 Our approach focusses on teacher training and development, workforce development, learning resources and providing strategic support and consultancy for partners in the music education sector. If your values align with ours and you’re passionate about musical education for children, please see below to find out more about our current vacancies.